Told in two voices, this is the story of Arthur, a summer intern from Georgia, and Ben, a native New Yorker, whose meeting seems like fate, but after three attempts at dating fail they wonder if the universe is pushing them together or apart. 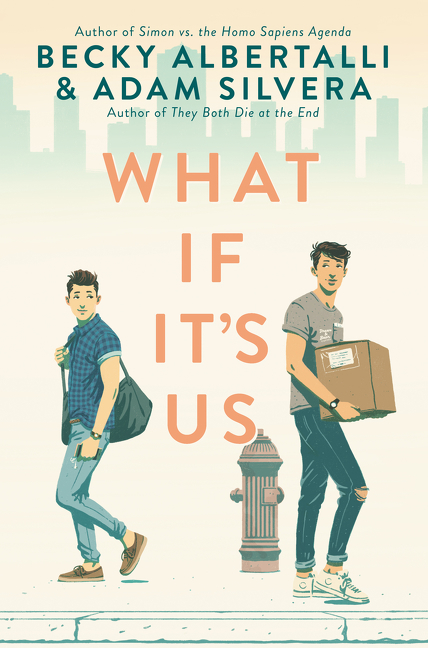 What if it&apos;s us / Becky Albertalli & Adam Silvera. $c Statement of responsibility Becky Albertalli & Adam Silvera. 520 Summary $a Summary, etc. note Told in two voices, this is the story of Arthur, a summer intern from Georgia, and Ben, a native New Yorker, whose meeting seems like fate, but after three attempts at dating fail they wonder if the universe is pushing them together or apart.